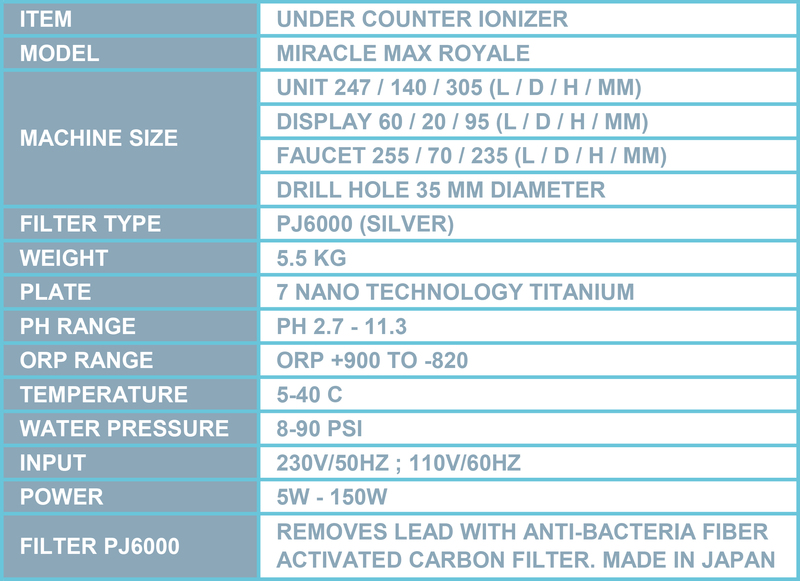 under-counter stainless steel smart digital faucet ionizer. you can easily select the water level of your choice. "THE MOST IMPORTANT THING IN YOUR KITCHEN"
ANYONE WITH ANY WATER SOURCE. 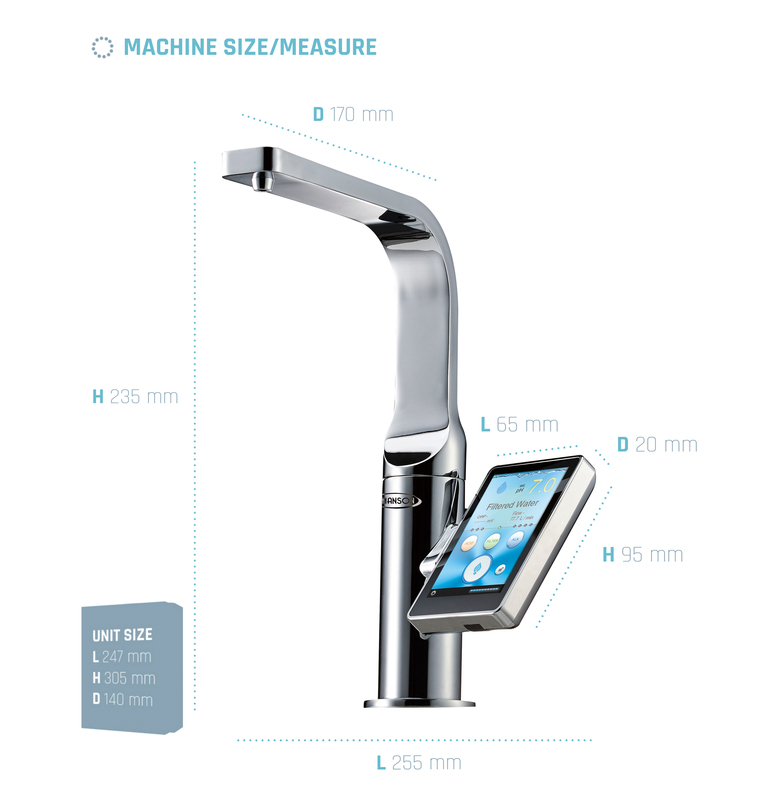 STAINLESS STEEL DESIGN AND A TOUCH SENSITIVE LCD SCREEN WILL FIT TO YOUR KITCHEN. THOROUGHLY TESTED AND APPROVED BY CE ORGANIZATIONS BPA, LEAD, MERCURY, CADMIUM AND IRON FREE MATERIALS, ROHS COMPLIANT. it is not a replacement for your kitchen faucet. 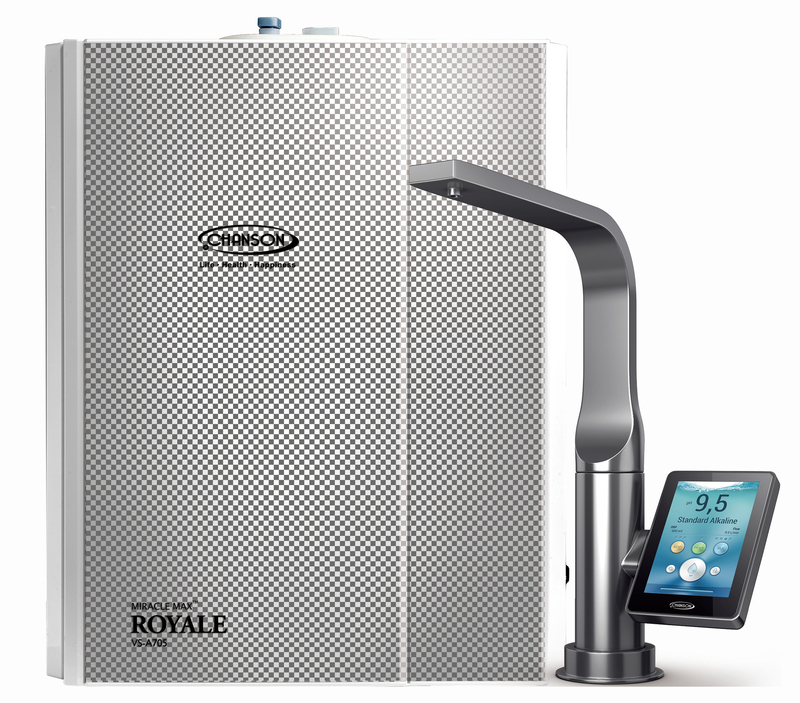 You would never want to run hot water through a water ionizer. reminding you to change your filter when necessary. frequencies of self-cleaning cycles. 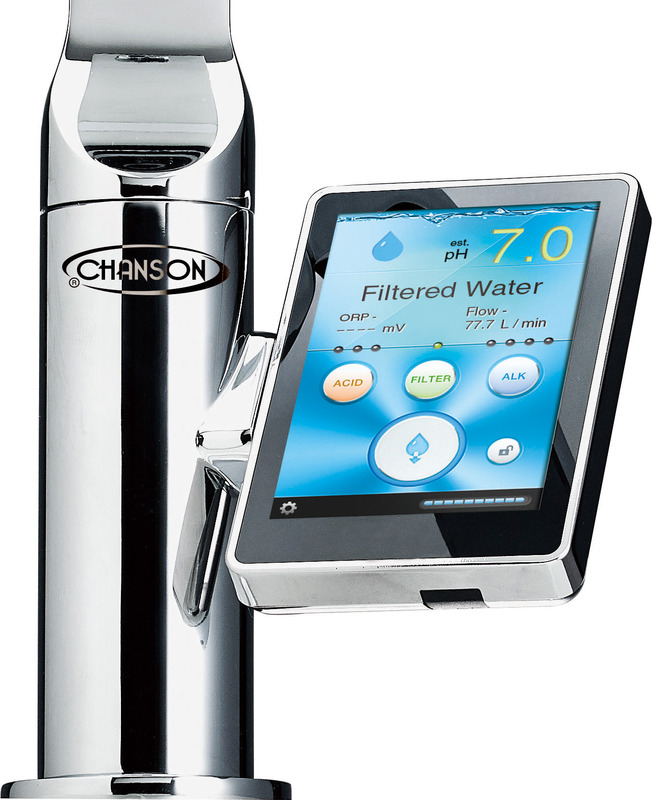 The Chanson water ionizer can auto-adjust "the remaining water filter life" and "time of self-clean"
according to your water quality. 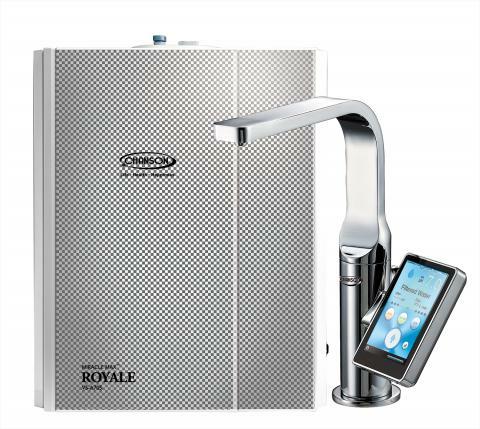 You will have your own personalized water ionizer settings! 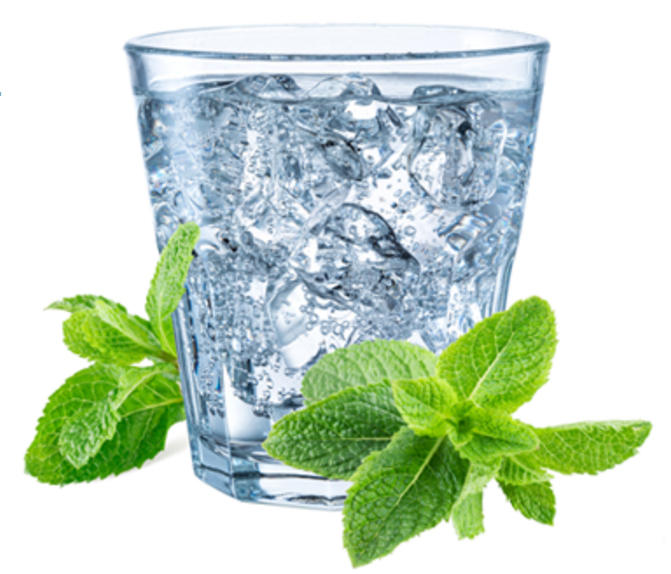 Himalayan rock salts are not required to use your ionizer, they are an added bonus.